A celebration of the anniversary of The Charter of the Forest, which was first issued on 6 November 1217 as a complementary charter to the Magna Carta. This gave commoning rights to common people in England's forest, heaths and chases. The evening will start with a talk by Ben Cowell, Regional Director, National Trust & trustee of Our Democratic Heritage, on The Charter of the Forests, the Magna Carta, and the New Commons, followed by: Rewilding, a performance workshop by The FLOCK / Grow Art Collective and end with For the love of trees: a short dramatic monologue by Natasha Langridge. The session is organised by Occupy London, hosted by R-Urban Wick as part of The New Putney Debates. Henry III's Charter of the Forest was issued on 6 November 1217, as an adjunct to the reissued Great Charter of Liberties. Indeed, it was in order to differentiate the Charter of the Forest from the Charter of Liberties that the latter gained the name 'Magna Carta', being the longer of the two documents. Several of the liberties reaffirmed in the Charter of the Forest dated from the first version of Magna Carta, sealed by Henry's father King John in June 1215. 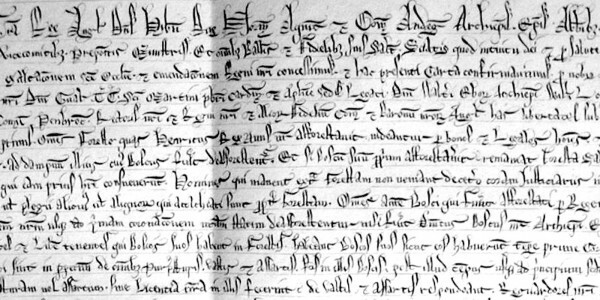 The Charter of the Forest, however, dealt exclusively with the rights and liberties that the king's subjects held over land, in particular the open forests, heaths, commons and wastes that had multiple uses in the medieval economy.The Charter of the Forest therefore disclosed a customary relationship with the natural world, which by and large was extinguished in the centuries that followed as a consequence of enclosure, urbanisation and industrialisation. What lessons might we learn today from the Charter of the Forest, and the reassertion of a more communal and collaborative approach to the custodianship of our precious natural resources?Ben Cowell is Regional Director for the National Trust in the East of England, and a trustee of Our Democratic Heritage and The Heritage Alliance. Rewilding – a performance workshop by The FLOCK/ Grow Art collective. If I look outside my window to the left cranes and drills are in my face. I could touch the builders if I stretched out far enough. I don't. I look to my right. And down. Into the little park. A Cherry tree is just beneath me. And beneath that a bench. Where city lovers steal a kiss in the chaos of London mornings, where Moroccan elders meet their sons to light up a Tagine for lunch, where a Granny hands out the best supermarket deals of the day as birds sing of other day to day stuff. I am still writing about my lost lover. Until one day at half past three. The bulldozers thunder into the green. Men in orange jackets section the park into three. The Mayor of London logo blazes. In the space of one hour eight trees are chopped to stumps. Diggers turn the grass to rubble. A black bird sings wildly. A crane moves stealthily towards the cherry tree... - One woman's personal experience of regeneration.